AmazonSmile is a simple and automatic way for you to support CancerCare every time you shop, at no cost to you. When you shop at smile.amazon.com, you’ll find the exact same low prices, vast selection and convenient shopping experience as Amazon.com, with the added bonus that Amazon will donate a portion of the purchase price to CancerCare. Strength. Hope. Resilience. 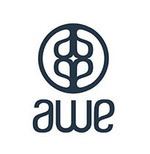 That’s what AWE is all about. AWE Alive We’re Empowered is a new fine jewelry brand designed to celebrate, unite and honor survivors, through meaningful gifts and a platform to share stories. Founded by 3-time cancer survivor Jill Johnson, the inaugural AWE medallion anchoring this collection is a universal symbol of strength, hope and resilience. Visit www.AWEinspired.com to purchase a survivor medallion and 20% of your gift will be donated to CancerCare. Look good while doing good! eSalon.com is the only provider of individually blended salon hair color for home use. Each color is crafted under the guidance of expert colorists then delivered to your door, all for an affordable price. For the third year in a row, eSalon.com has committed to donate a portion of its proceeds during October in honor of Breast Cancer Awareness Month to help women and their loved ones who are affected by cancer. If you’re interested in helping CancerCare, but not in purchasing anything at the moment, sell items and donate the proceeds to CancerCare through eBay’s Giving Works.